The importance of money and our relationship to it is impossible to ignore in a decade defined by global economic crisis and financial instability. 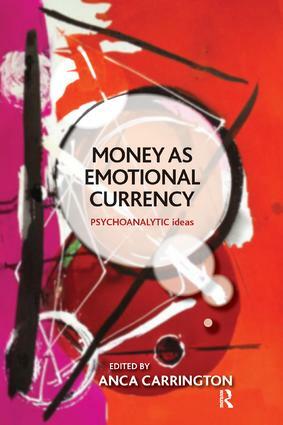 Integrating a psychoanalytic perspective with insights offered by economics, this book contributes to a debate that aims for a better understanding of money in its dual functioning - as omnipresent component of our external reality, as well as powerful agent of our emotional responses. The main argument proposed is that the intense and complex emotional charge that money can engender stems from the role that money has not so much in the external world, but in an internal economy ruled by phantasy, where every external transaction has an internal counterpart, whose impact is mysterious, deep and far-reaching. The book explores the impact of the emotional undercurrent stirred by money from its beginnings in childhood to its consolidation into adult life, for individuals and society alike, and with an emphasis on ordinary development, rather than on pathology. Psychoanalytic Ideas is a series which bring together the best of Public Lectures and other writings given by analysts of the British Psycho-Analytical Society on important psychoanalytical subjects. The focus of this series is to communicate some of the intellectual excitement about the past, present, and future of psychoanalytic ideas. The series aims to help make these ideas accessible to an even larger group of students, scholars, and practitioners worldwide.